The history of the puppet and how it influenced our culture is an interesting one. The first puppet made is believed was developed in India possibly as early as 1000 B.C. The first puppets were probably made with simple stick figures with the use of various materials found on the ground or in other places. While they were no doubt simple in design and appearance, the performing out of the puppet shows was loud and full of fanfare. Many countries later developed t heir own versions of puppet shows, and these often influenced their culture. The same thing with stories and fables, puppet shows became known as a way to pass the time in an amusing act with friends and family, and it passed down to many generations. No one exactly knows where puppetry first began, though most scholars seemed to agree puppetry as an art form started in China with their version of a shadow puppet. However, that is only one kind of puppet and one kind of puppetry. To many puppet show enthusiasts, they think that puppetry seemed to have already existed in many other countries, in many other art forms, long before the introduction of the shadow puppet and shadow theater in China. It also seemed that man has always been interested in creating and controlling other things, as well as trying to define his own. The type of puppet which is commonly referred to as “dummy” is used in the form of ventriloquism. The “dummy” typically delivers one-liners or responds to the ventriloquist role as the second man. Jim Barber, who is widely recognized ventriloquist around the world, is performing in Branson at the Hamners Unbelievable Show. This is an example of a “dummy” puppet that is performed in some shows in Branson. Human actors in Japan are usually replaced by puppets as a means of illustrating and symbolizing things a human actor could not do. Actors appear to be sometimes more demanding and typically harder to work with, and often unruly towards their superiors. This prompted the human element out of the script so that the replacement puppet could focus more fully on the act. There are times that a puppet would be operated by 3 people, controlling them from various locations as they moved across the stage. In the ancient stage show in Europe, such as Shakespearean theater, morality plays were the rule of the day. Themes were dealt with the morality of human decisions, even though the actors on the stage were puppets. In general, when puppets are utilized in the show, the play becomes more focused on the theme and the plot, rather than the glamor of human actors. In this way, the real meaning of the show comes out, without focusing on the acting craft with real people. 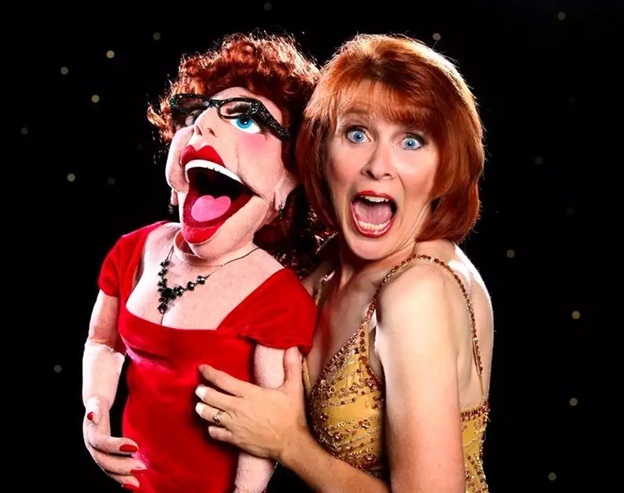 Puppet show in Branson is commonly referred to as “dummy” used in the form of ventriloquism which is performed at the Hamners Unbelievable Variety Show by Jim Barber.